The blockchain technology has been making headlines lately. This is the same technology that fuels cryptocurrencies top among them Bitcoin. Many people might be familiar with Bitcoin but not with the technology behind them. That is soon to change because the blockchain technology is infiltrating every area of our lives. One aspect of the business that is likely to sustain significant disruptions due to the blockchain is the supply chain. The blockchain technology will be a fresh breath of air in the way supply chain transactions are done; the dealings will be secure, transparent and easy to track. That will, in turn, lead to greater scalability and increased innovation. Before we get into that, however, let’s first define the blockchain and the supply chain. The blockchain is a shared database that holds digital records in a way that makes it tamper-proof. The database is distributed so that many people have access to the documents in tandem through thousands of computers interconnected around the world. A simple change in a transaction is detectable, and the system self-analysis through numerous algorithms to determine the validity of the transaction. The supply chain is the conduit the product takes from the manufacturer to the customer. The supply chain is made up of a network of people and technologies and, companies and all activities involved in the production and delivering of finished products to the consumer. The blockchain’s distributed database makes all deals and changes visible to anyone on the system. Every person involved in the supply can be able to see where the product is at all the times, or how it is being made and delivered. That affords all stakeholders peace of mind. Each ledger on the blockchain is secured and interconnected. Every block is a document that is duplicated and distributed to be chronologically stored and linked to all previous blocks. Hacking the blockchain would require changing thousands of copies at the same time. There is less administration work that goes into the digital management of records on the blockchain. You can quickly sign on to the system to access all the information you need, including documents, communication, and operations oversight. The need for intermediaries in the supply chain is removed, reducing costs and the time the product takes to get to the end user. If you need to analyze past data to determine the future, the blockchain can quickly help you create accurate predictions. You will be able to see the lags in your supply chain easily. By sealing such loopholes, you will get to reduce expenses significantly. The supply chain is made up of complex processes, especially when it is done on a massive global scale. 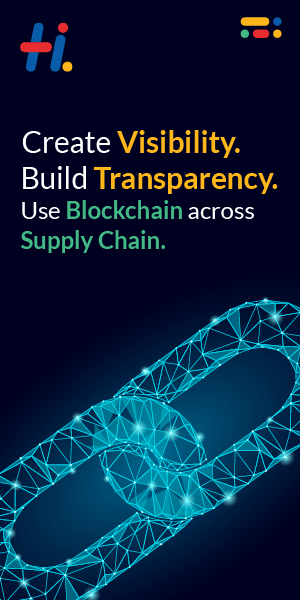 The blockchain presents hope in transparency, streamlined operations, and security and analytics when it comes to materials flow, product flow, information flow, and finances flow in the supply chain.